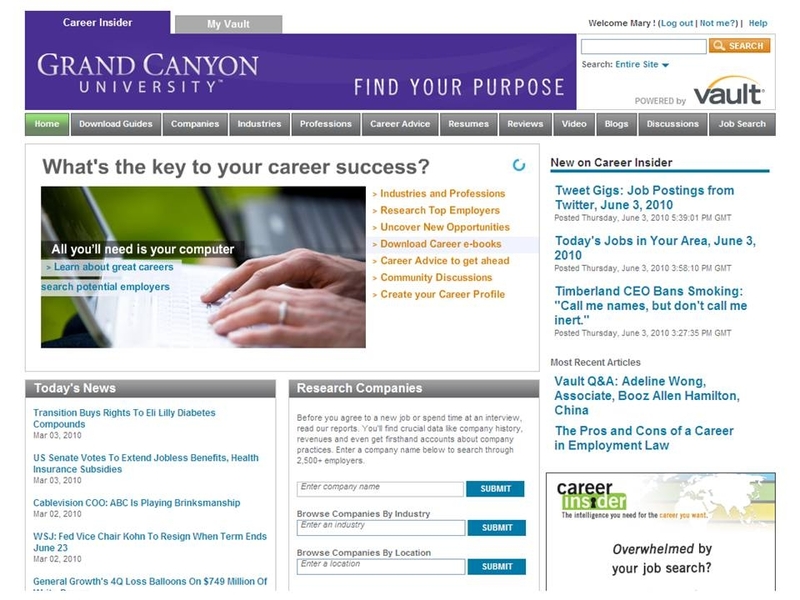 The Grand Canyon University Career Services Center added the Career Insider resource to provide on-line tools and resource for all job-seeking students. 5. To log into Career Insider, click on the Career Insider Login Page. 7. Enter Current Status, First Name, Last Name, Email Address, Password, Country and Zip Code. For more information visit Career Services in the Student Union, or call 602.639.6606 or toll-free at 877.610.5506, or email us at careerservices@gcu.edu.